Two of the top officials in Osaka, Japan’s third-largest city by population ranking, have respectively given assurances that key infrastructure is suitable to play host to a casino resort. Osaka has consistently voiced support for accommodating a so-called integrated resort (IR). Up to three such venues will be permitted at yet-to-be determined locations across the country under a first wave of liberalisation. But the recent typhoon that struck the surrounding Kansai region – and brought flooding and suspension of operations to Kansai International Airport – spurred the official assurances. 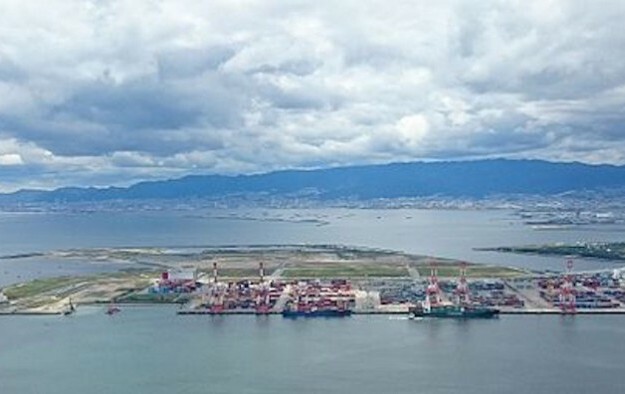 Also mentioned was the safety of Yumeshima Island (pictured), a land reclamation scheme in Osaka Bay that has been earmarked by the local authorities as their preferred location for an IR scheme. Osaka Governor Ichiro Matsui and Osaka Mayor Hirofumi Yoshimura respectively took to social media to give their calming messages. Mr Yoshimura added that the typhoon that last week struck Osaka Bay had caused a 3.3-metre high tide, which he described as “the highest” level ever recorded. There are some uncertainties regarding just how many Japanese cities actually want a casino resort, despite the central government presenting the policy as a tool for regional economic regeneration. Last week it emerged that approximately 94 percent of citizens in Yokohama City – Japan’s second-largest metropolis by population – expressing a view on the idea of a casino resort indicated “negative” opinions. The topic of casino resorts arose in the context of a local-government survey on public policy.